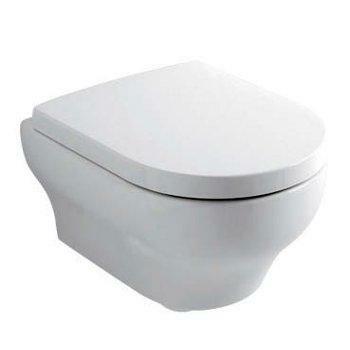 Wall hung toilet CLEAR, with Rimless technology. 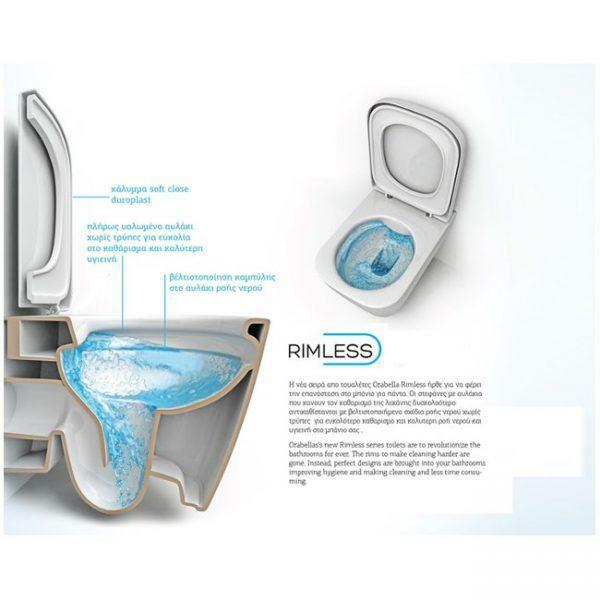 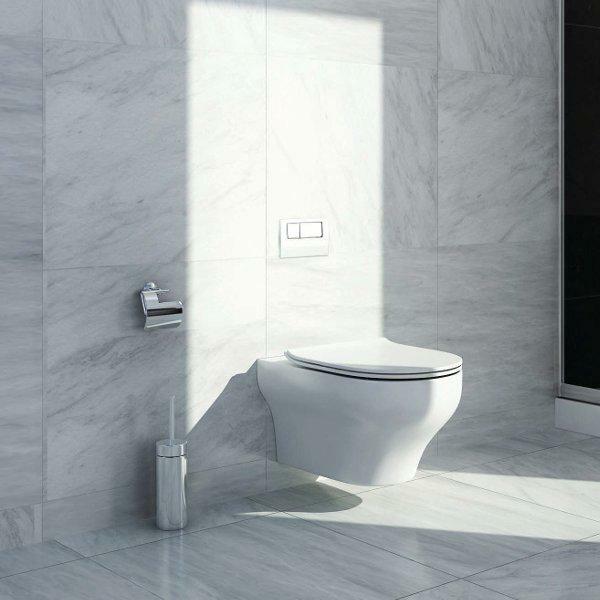 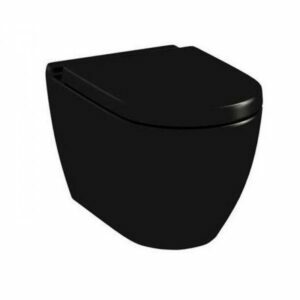 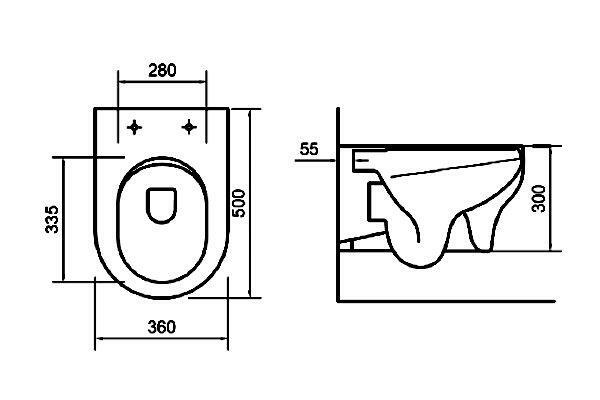 RIMLESS technology offers optimized water flow patterns without holes for easier cleaning and better hygiene in your bathroom, replacing the old toilet with grooves that make it hard to clean. 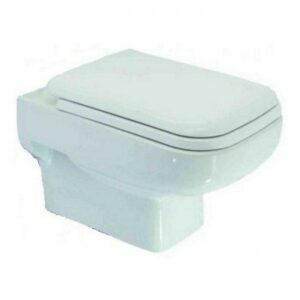 Toilet seat covers thermodurente antibacterial.